"His vaudeville plays like The Bear and The Proposal proved commercially successful. 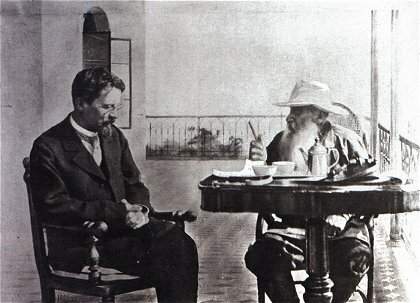 Popular as they were, however, Chekhov's purpose for writing them was not simply providing light and lucrative entertainment. 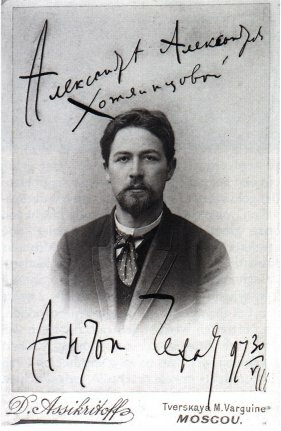 Though the works themselves were never intended to be taken seriously, Chekhov never lost sight of his goal of becoming a "serious writer." These plays represent studies in the craft of playwriting. Hard-hitting satires, the vaudevilles mock love but also revel in how fickle our hearts can be. He is laughing at us, but given his own amorous escapades, he is also laughing at himself. 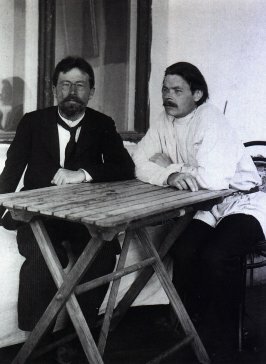 * In their garrulous correspondence, running to some 1,300 pages, Chekhov and Knipper often address each other as "Dear Writer" and "Dear Actress." Many of Knipper's endearing comments refer to her husband's body parts - his eyes, his hair, his beard. By contrast, his letters read like conventional poetry addressed to an abstract ideal of a mistress: "Believe that I love you, love you profoundly, whatever might happen, even if you turned into an old hag, I'd still love you - for your soul, for your disposition." 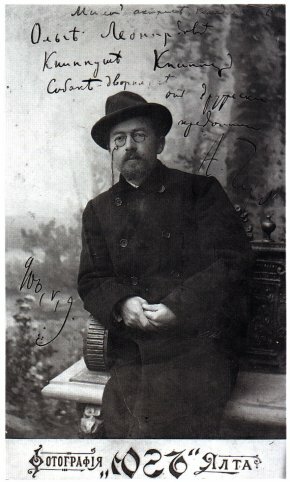 Speculation runs wild about the nature of Chekhov's marriage with the sensual Knipper, but no one denies he wrote his greatest plays - The Three Sisters and The Cherry Orchard - after having yielded to matrimony. I think descriptions of nature should be very short and always be à propos. Commonplaces like "The setting sun, sinking into the waves of the darkening sea, cast its purple gold rays, etc," "Swallows, flitting over the surface of the water, twittered gaily" — eliminate such commonplaces. You have to choose small details in describing nature, grouping them in such a way that if you close your eyes after reading it you can picture the whole thing. For example, you'll get a picture of a moonlit night if you write that on the dam of the mill a piece of broken bottle flashed like a bright star and the black shadow of a dog or a wolf rolled by like a ball, etc. ... In the realm of psychology you also need details. God preserve you from commonplaces. Best of all, shun all descriptions of the characters' spiritual state. You must try to have that state emerge clearly from their actions. Don't try for too many characters. The center of gravity should reside in two: he and she. — To AP Chekhov, May 10, 1886 Method in Biomechanics directory: I will be using both! De Maegd-Soëp, Carolina. 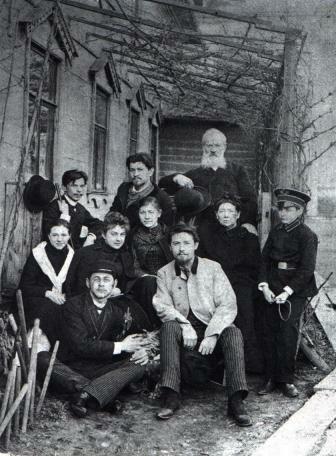 Chekhov And Women: Women In The Life And Work Of Chekhov. Columbus, OH: Slavica Publishers, Inc., 1987. 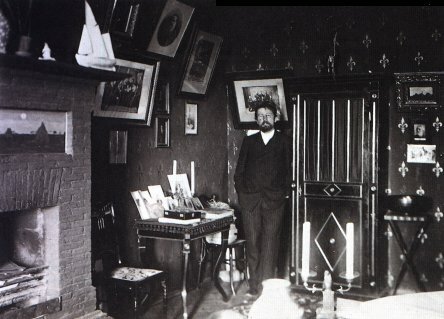 "anton chekhov: the iconoclast" Williames, Lee J. Anton Chekhov: The Iconoclast. Scranton, PA: University of Scranton Press, 1989. The writer Nikolai Garin-Mikhailovsky appreciated the "same incongruity" between Chekhov's imagination and his fate that is shown in the owners of the doomed cherry orchard. "Chekhov could hardly walk, noises came from his chest," Garin-Mikhailovsky remembered. "But he seemed not to notice. He was interested in anything but illness...why are such precious contents locked up in such a frail vessel?" (Rayfield, 581). "I am so depressed by this funeral...as if I was smeared by sticky, foul-smelling filth...People climbed trees and laughed, broke crosses and swore as they fought for a place. They asked loudly, 'Which is the wife? And the sister? Look, they're crying...' [Russian opera singer] Chaliapin burst into tears and cursed: 'And he lived for these bastards, he worked, taught, argued for them" (Rayfield, 599).